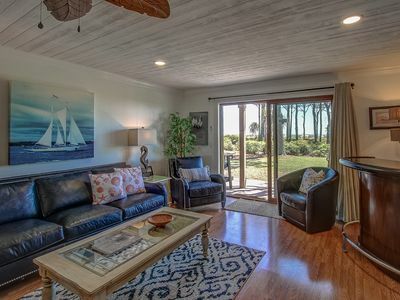 Modern Designer -Walk to Beach - Available Labor Day! Sun, Sand, Surf, Tennis and Golf! Vacation dream are made of this. 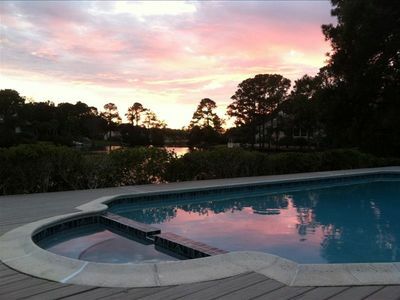 Come join us at our Hilton Head Villa for an unforgettable value vacation or longer term snow bird home away from home. 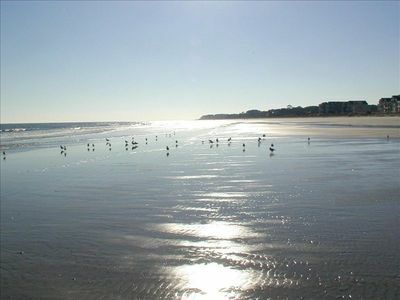 Choose Hilton Head Island for the fantastic beaches and weather. 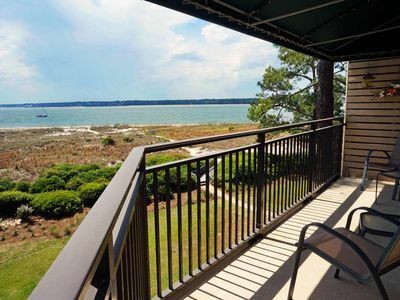 Stretch your vacation dollars at the fully outfitted Hilton Head Resort - the best beach value on the Island. Hilton Head Resort offers two outdoor pools and one indoor pool, kiddie pools, hot tub, sauna, fitness equipment, indoor running track, on-property restaurant/convenience store and souvenir shop, a pristine beach, a local color beach bar, six free tennis courts, one badminton court, one racquetball court, and bike trails The resort offers unparallelled amenities at great value. 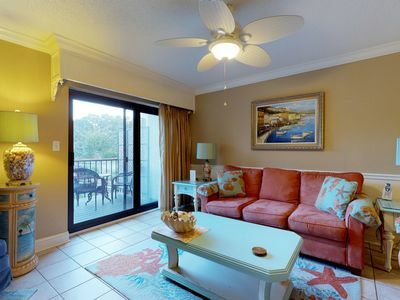 Select our unique unit for a stylish and modern vacation with fantastic additional amenities. 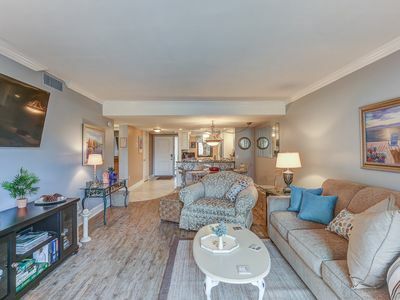 This renovated two bedroom, two bath villa is modern and fresh with European style furnishings throughout the unit. 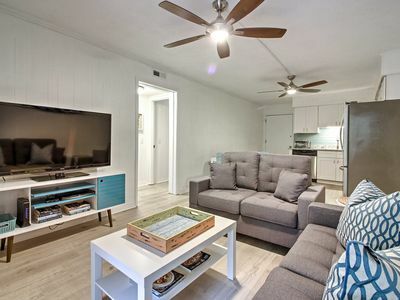 Enjoy an IKEA designed kitchen,TV with cable in each bedroom, and Apple TV with surround sound system. 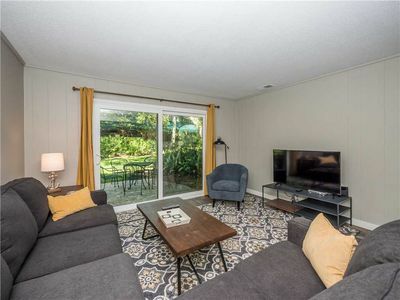 Enjoy tennis views from your interior courtyard porch. 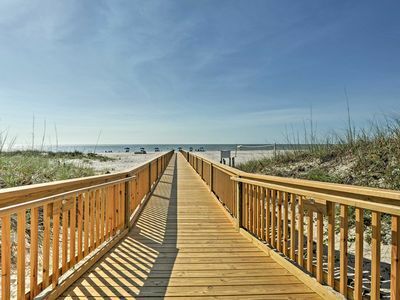 Yet the unit is a short walk or shuttle ride to the sand using a private boardwalk over wetlands filled with the sights and sounds of the shore. 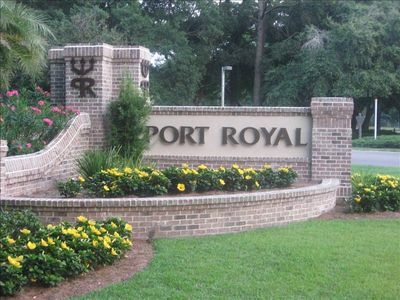 The Robert Trent Jones Palmetto Dunes Ocean course borders the property and is a short drive away. 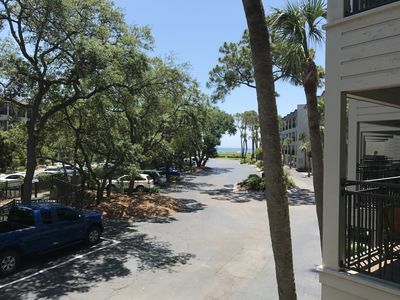 Enjoy a safe and secure environment with the on-site security and a front desk provided by the friendly Hilton Head Resort team. 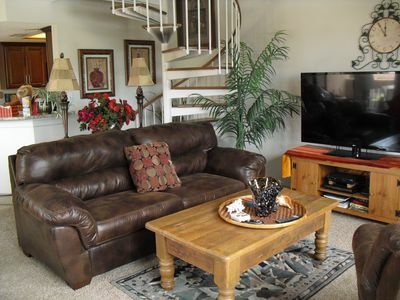 It's all here for you and one will only rarely need to leave the property. Still, our own local beach shack Coco's on the Beach beckons. A plethora of local and chain restaurants are just off the resort, as well as a number of well stocked grocery stores in the vicinity. Several bike companies will deliver and pick up at the resort. You will appreciate long rides cruising on the flat beaches. 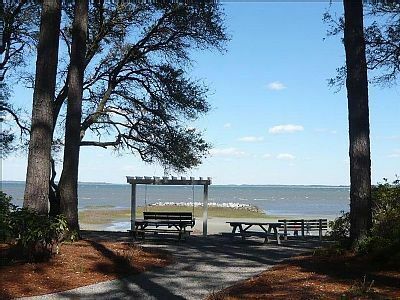 Alternatively, you can explore the island using the extensive Hilton Head bike trails. 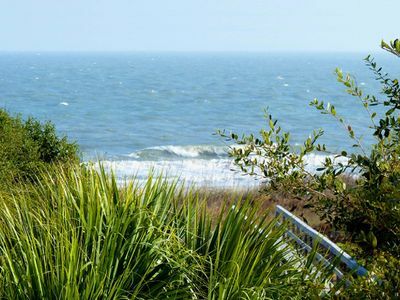 A ride overland to the famous light house at Sea Pines for lunch, followed by a ride back on the beach with the wind at your back is surely the perfect day. Follow this with a soak in the facility hot tub or rest in the sauna. This is relaxation at its best. 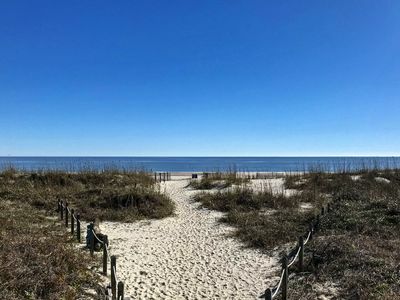 Come sample the calm beauty of Hilton Head at a true value compared to so many locations on the Island. Contact us for great discounts off the published prices, you will not be disappointed. 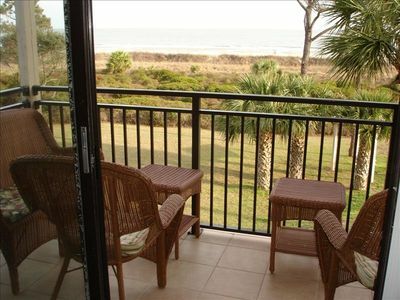 Hilton Head Condo w/ Shared Pool - Walk to Beach! 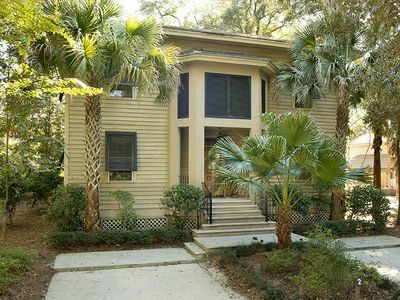 Hilton Head Villa w/ Pool Access & Steps to Beach! 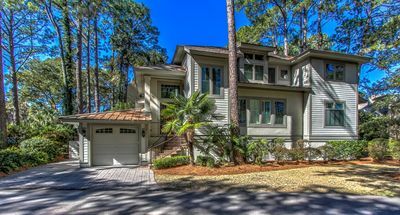 HHI Resort Villa on First Level - Steps to Beach! 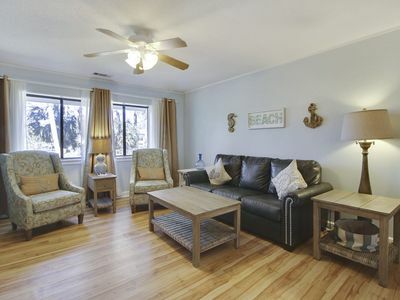 2nd floor, 2 bedroom, 2 bath, Island House unit nestled just beyond Coligny Plaza in Forest Beach!